Centennial Medical Center is a major medical campus located on a 27-acre site in an urban setting. 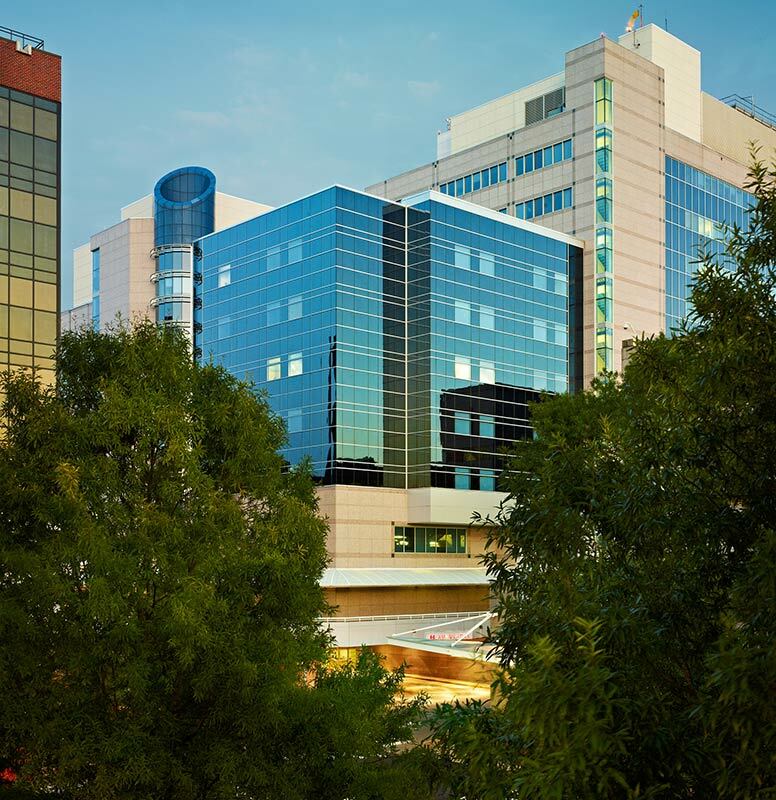 In 1994, ESa designed two new important additions to this world-class medical center: the 239-bed hospital tower and the adjoining 204,000-square-foot Physicians Park Medical Office Building. As part of these additions, 2,000 parking spaces are placed below for convenient patient and visitor parking. 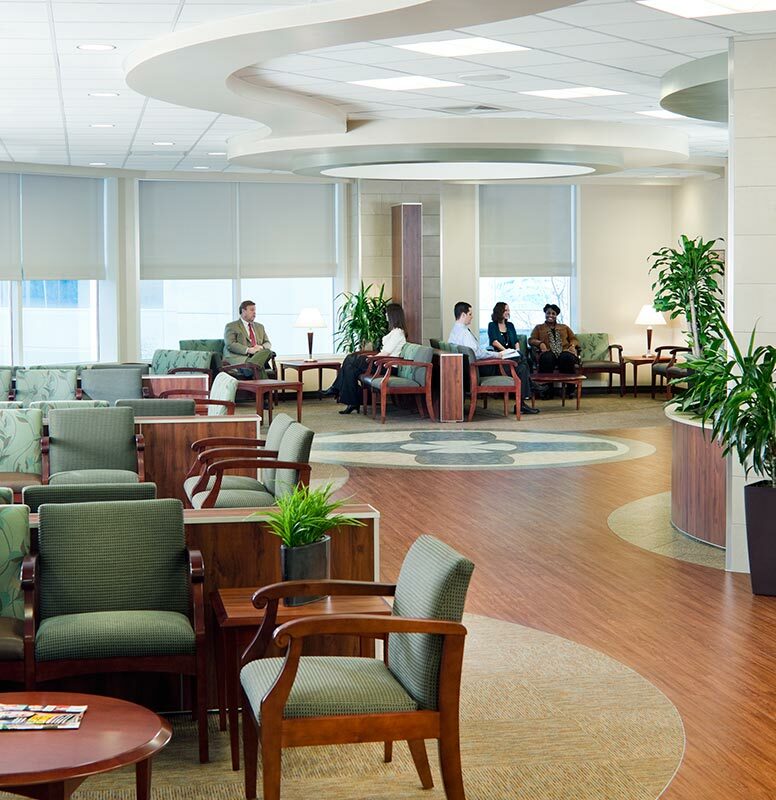 Easy access is provided to outpatient areas through a glass-covered atrium lobby waiting area. A comfortable waiting place, the atrium also acts as a wayfinding tool, with access to all outpatient and public areas starting at this location. In addition to the services contained within the hospital tower and physician office structures, the campus also has a comprehensive women’s center, a psychiatric hospital, a cancer center, and a day surgery center. Expansions of cardiac and oncology services were completed in 2010. Cardiac services add five open heart ORs (plus two shelled), a 16-bed cardiovascular intensive care unit, two cath labs, 16 intensive care beds, 29 medical/ surgical beds, and shell space for an additional 29 beds. The oncology hospital expansion includes a new lobby/registration, four oncology ORs with support, outpatient diagnostics, cyberknife, and a new oncology services building for outpatients and physicians. 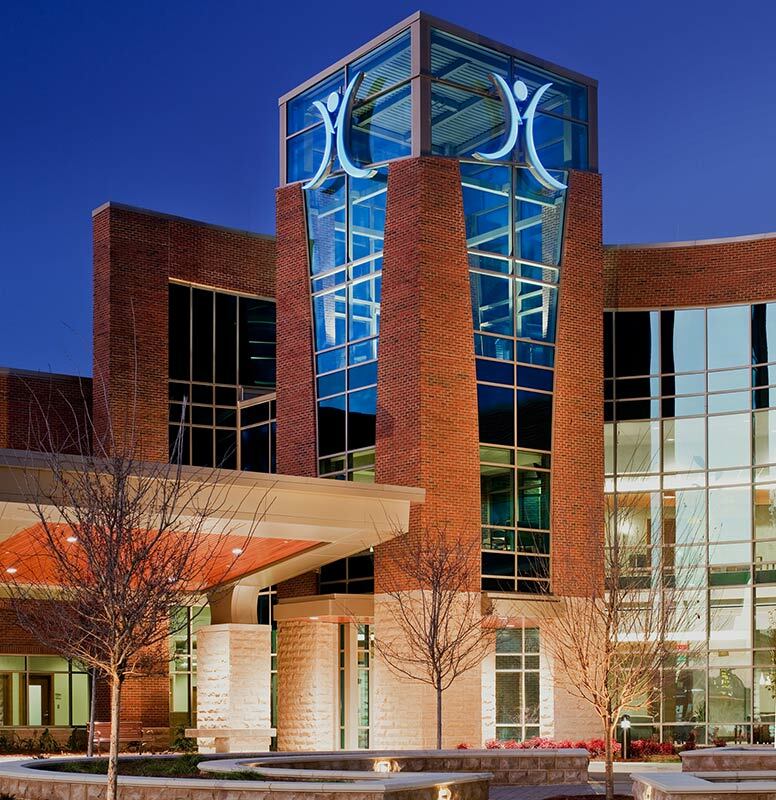 Expansions that took place 16 years after the hospital opened increased the capacity of the center’s cardiac and oncology services while incorporating advanced technologies to better serve patients. 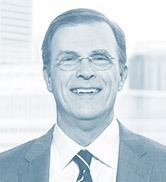 Photos © Bill LaFevor, © Gary Knight + Associates, Inc. Parking Garage – 490,000 s.f. 2010 Expansion – 217,800 s.f. 2010 Renovations – 151,090 s.f.